Electricity is invisible, costly and often relies on finite resources. This post discusses three nudges making electricity consumption comprehensible and visible. With the rising economic, strategic, and environmental costs of our continued energy consumption rates policymakers are struggling to implement policy that will reduce our overdependence on finite and environmentally harmful energy reserves. In this endeavour increased energy efficiency is an obvious option, however, it is simpler said than done and most notably with one specific group; residential households (i.e. you and I). There are a multitude of highly academic and somewhat mundane reasons for this, so I will start simply at the purchase of a light bulb. When faced with the choice between two light bulbs in the supermarket the initial price is often the overriding concern for most consumers. But the cheaper bulb is often the more expensive of the two in the long run, as it is with most electronic appliances and products. So why do people opt for the “cheaper” option? The key is that the cheaper bulb only becomes more expensive when the price of electricity is included in the equation and it is here we find the root of the problem. Electricity is, as opposed to many other consumer goods, an abstract, invisible and untouchable good that is directly consumed, but indirectly so via a number energy consuming tasks (cooking, cleaning, television, lighting, heating etc.). It is therefore often difficult for the consumer to grasp the true cost of opting for the, at face value, ‘cheaper’ bulb . Given the abstract or detached nature of electricity consumption the consumer typically has no idea how, when, or by which appliances an electric current is used, nor does (s)he have any concept of whether the consumption is relatively high or low, or for that matter whether it has increased or decreased. Equated to a grocery store, electrical consumption has no individual item price marked and the consumer only receives a monthly (or, in many countries, even annual) bill on the aggregate price for ‘food consumption’. Perhaps it is not surprising then that the household sector has one of the fastest growing energy consumption rates of all sectors in our society, despite a myriad of legislative and information campaign attempts to the contrary. In order to effectively influence household energy consumption, electricity needs to become visible and the consumption of it concrete rather than abstract. Here nudging can help by offering valuable input both in way of making consumers more aware of the costs of electricity consumption, but also in regards nudging households towards more energy efficient behavior. In order to make electricity a visible commodity the consumer needs to be made aware of the ‘price of consumption’; for example by illustrating the lifetime energy cost of a given appliance or product in the price tag. A recent Norwegian study published in 2012 by GreeNudge – a member of Danish Nudging Network – exemplifies this approach showing that by including information regarding the cost of the (in this case) dryers lifetime energy consumption and the training of local sales staff the average energy consumption of dryers sold fell by almost 5 pct . This relatively simple nudge demonstrates that revealing the hidden costs of electricity can significantly impact consumer choice towards more energy efficient and ultimately less expensive purchases . Other studies have focused on using cues to make consumers aware of their energy consumption; for example having light bulb glow at varying intensities depending on the total electrical consumption within the household (the brighter the bulb the more energy is being consumed). This light bulb cue is meant to nudge residents by making them aware of the level energy consumption happening and thereby reveal the ‘hidden’ consumption rate. Another avenue of approach gaining ground is based on the emergence of literature that illustrates that simple alterations in billing information and peer/historical comparison of energy consumption can have a marked influence on household energy consumption and efficiency . In a review of past experimental data Corinna Fischer found that this approach can reduce residential energy consumption by typically 2 – 5 pct. with some studies having even shown reductions of up to 20 pct . However, these latter studies are less reliable given either their relatively small sample size or lack of control groups. There is therefore a relatively sound body of evidence that highlights the usefulness of feedback based nudges. What’s more these non-price based interventions are typically inexpensive, require little to no administration, and improve general customer satisfaction . The introduction of smart grids, higher building standards and legislation on more energy efficient appliances and products are all important steps towards a more energy efficient future. However, in tackling the systemic issue of overdependence on finite resources and climate change we are arguably overlooking simpler initiatives that could be taken. Nudging can both make consumers buy more energy efficient products and nudge households towards more energy efficient behavior. It saves the consumer money, increases energy efficiency, and reduces CO2 emissions all with little to no need for additional administration. Especially in times of economic uncertainty and austerity this latter point is an undeniably attractive proposition . In Denmark alone nearly one third of all electricity consumption is used by residential households with the average home utilizing 3.435 kWh/year . Imagine if energy nudges were applied to all energy products (bulbs, computers, televisions etc.) or if utility bills were constructed in fashion that allowed the consumer access to useable and relatable information. The cumulative savings of consumers buying 5 pct. more energy efficient products and/or saving 5 pct. on the utility bill are enormous. And if feedback based nudges work on electricity, why not water consumption or heating bills? Fischer, C., 2008. 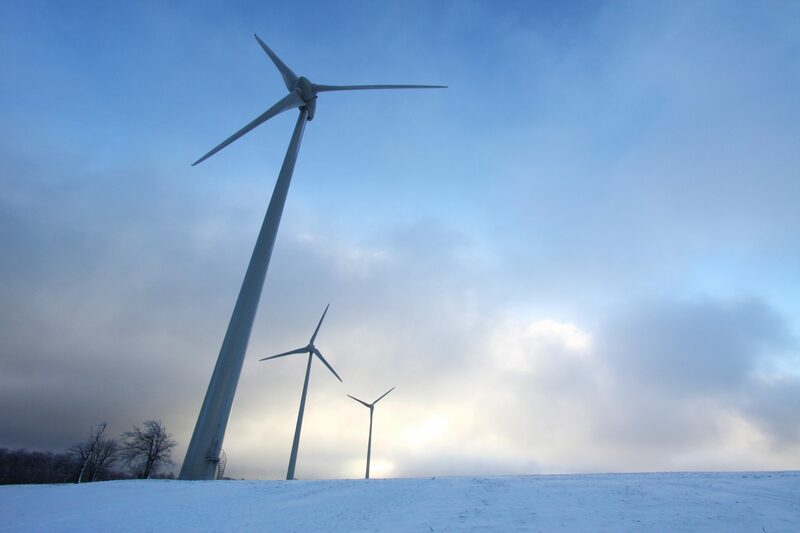 Feedback on household electricity consumption: A tool for saving energy?. Energy Efficiency, 1(1), pp. 79 – 104. Kallbekken, S., Sælen H., Hermansen E.A.T. 2012. Bridging the Energy Efficiency Gap: A Field Experiment on Lifetime Energy Costs and Household Appliances. Journal of Consumer Policy. 36(1), pp. 1-16. McCalley, L. & Midden, C., 2002. Energy conservation through product-integrated feedback: The roles of goal-setting and social orientation. Journal of Economic Psychology, Volume 23, pp. 589 – 603. Ayres, I., Raseman, S. & Shih, A., 2009. Evidence from two large field experiments that peer comparison feedback can reduce residential energy usage, Cambridge: National Bureau of Economic Research. Houde, S. & Todd, A., 2011. List of Behavioral Economics Principles that can Inform Energy Policy, Stanford: Lawrence Berkeley National Lab and Precourt Energy Efficiency Center at Stanford University. Hunt, A., 2009. 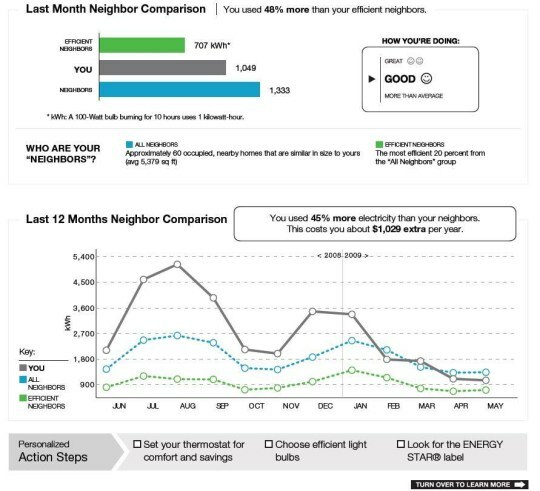 Social Norms and Energy Conservation, New York: Center for Energy and Environmental Policy Research (MIT). Ueno, T., Inada, R., Saeki, O. & Tsuji, K., 2006. Effectiveness of an energy-consumption information system on energy savings in residential houses based on monitored data. Applied Energy, 83(2), pp. 166 -183. Stewart, S., 2005. Can Behavioural Economics Save Us From Ourselves. The University of Chicago Magazine, 97(3).